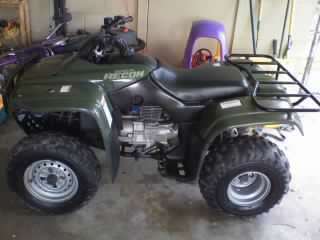 2004 Honda Recon $2500 OBO. Seller Matt1290 assumes all responsibility for the listing and deleting of this ad. This is a 2004 Honda Recon 250. Great condition, runs and pulls strong. Nothing needed but very minor brake work. Also, very clean, just the usual scratches in plastic but they are minimal. Well maintained and garage kept. I will deliver up to 25 miles. $2500 OBO.